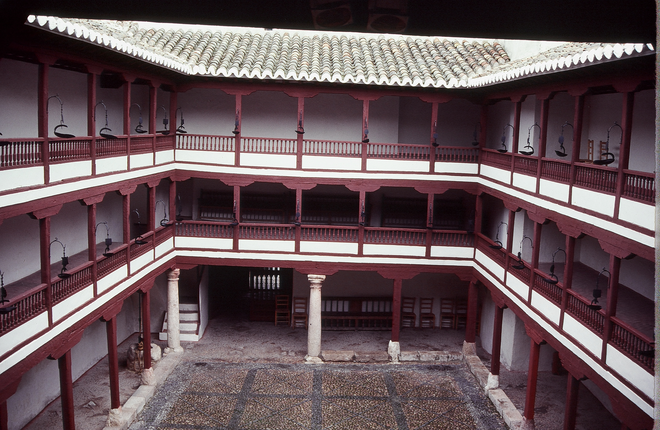 The Corral de Comedias at Almagro is the only remaining example of an open-air playhouses of the Spanish Golden Age. 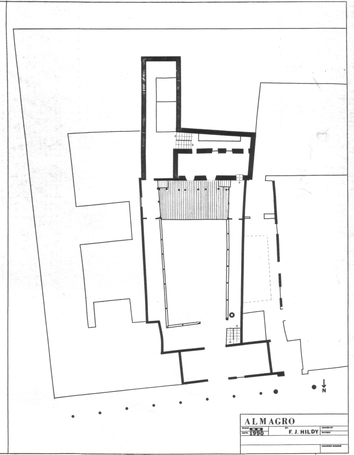 (See Alcala de Henares for a theatre with partial remains from this period.) 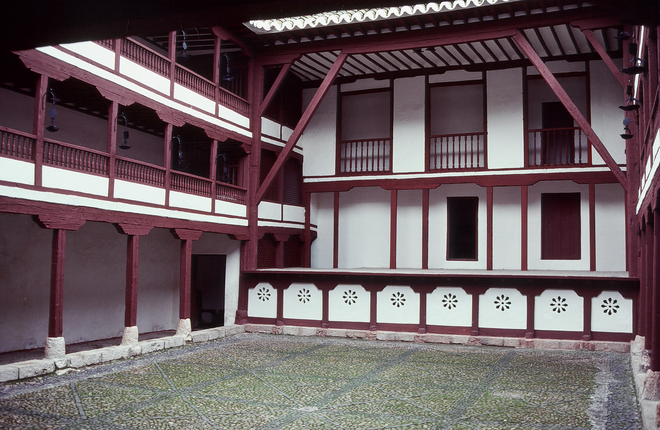 Such theatres were built throughout Spain and its colonies in the Americas between the 1570s and the 1630s. 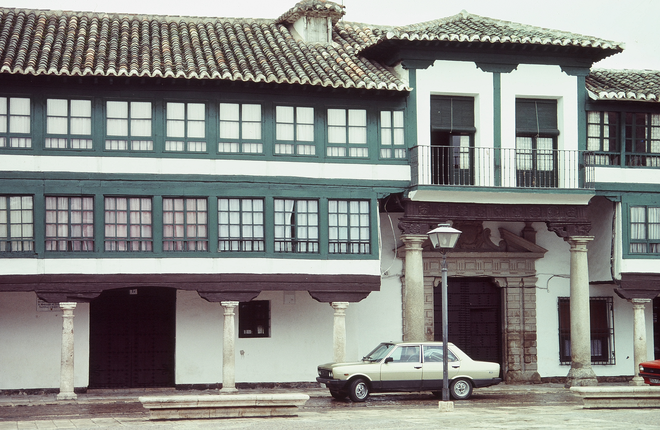 This one was built in 1629 for Don Leonardo de Oviedo, a priest of the order of the Calatrava. It was built within the courtyard of his Inn, known as The Bull. The walls on each side of the theatre are not part of any preexisting buildings, but were especially erected within the courtyard to hold the side galleries. The theatre is located on the south side of the Plaza Mayor in the heart of the city. Its last recorded use was in 1802; by 1857 all signs of its having been a theatre had been covered over. It was rediscovered in 1953 and reopened as a National Monument on May 29, 1954. It is now used regularly for performance. The theatre is open for tours when not in use. It hosts the International Festival of Classical Theatre in July and August and other events throughout the year. Information on theatre tours and performances is readily available on the internet in multiple languages. Spain’s National Theatre Museum is located at Gran Maestre, 2, 13270 in Almagro, just across the plaza and down to the left as you exit the Corral de Comedias. The Teatro Municipal dates to the 19th century and space in the Hospital de San Juan de Dios has been converted into a modern theatre.